Looking towards Manhattan from Brooklyn. I visited New York to say hello to my cousin Lin from Malaysia. She was on a working holiday visa since November. She's been working in Utah at a ski resort until recently. Now, she's traveling around the US with her friend. New York is their last stop because that's where they're flying out. I stayed with Jen in Brooklyn - Jen from Portugal, whom I went on a day trip to Sintra with. I caught up with Mehul from my Singapore exchange, Cheng from elementary school who's working at Uber during her co-op term, and Alison from Budapest whom I met during a free walking tour. Sometimes I'm very proud of how well I keep in touch with people. I brought my Fujica STX-1N and shot on Kodak 200 Gold. 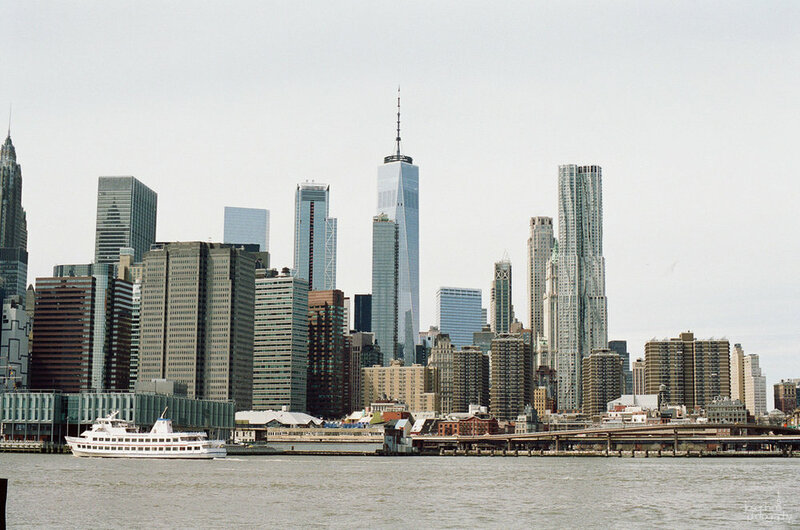 More film photos from NY here, just scroll down! Brooklyn Botanical Gardens - Cherry Blossom Season!